This particular game is a flight sim with a more leisurely approach to it than most. It takes place in the sunny Bay Area, on top of the San Francisco city, over which you'll fly quite often. Thus, if you feel like going for a leisure spin in an aircraft, this is pretty much the game t do it in. From this airport, there will be 46 airports to go to, and I got to igve it to the game, the views are fantastic! The game's realism is not only hinged on the graphics, though, the flights themselves are kind of going to take their toll on your safety flight protocols, as you'll have to be aware of the instruments, especially if the weather patterns change unexpectedly. 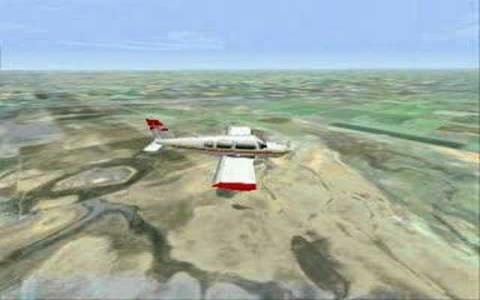 So, in Flight Unlimited II unlike some other flight games like Microsoft Flight is very specific about what it wants you to experience, and that is leisurely but safe piloting of planes. And, since we're talking about the planes, Flight Unlimited II contains just enough commercial and leisure planes to keep you satisfied, though it is more interested in creating an overall enjoyable experience. 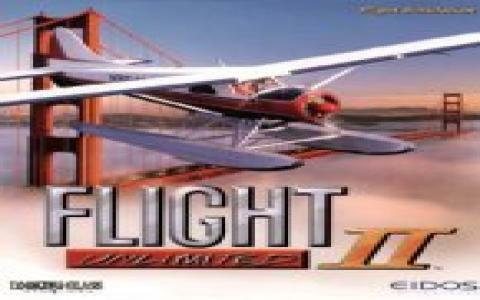 While I would argue that the game beats Microsoft's Flights series, I think that at this point in time Flight Unlimited II had the upper hand!